The Wagner Society of Cincinnati welcomes its newest Board Member, Dr. Paul Barte, as our new Music Authority. 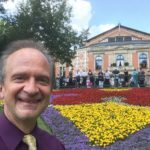 Paul recently returned from Europe where he spent several weeks attending opera in both Munich and Bayreuth, Germany for the annual Wagner Festival. Dr. Barte has been a member of the music faculty at the Ohio University School of Music since 1997, where he teaches organ and harpsichord, organ literature and pedagogy and music history classes. Barte was the 2005 recipient of the Ohio University School of Music’s Distinguished Teaching Award. In addition to his academic responsibilities, he also serves as University Organist. He is a Minnesota native and earned his bachelor’s degree from the University of Minnesota, where he was an organ student of Heinrich Fleischer and Dean Billmeyer. 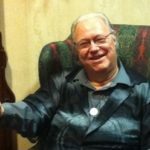 Studying with George Ritchie, he completed a master’s degree at the University of Nebraska-Lincoln in 1987. He began doctoral studies in organ performance at the Eastman School of Music as a student of Russell Saunders in 1987. He graduated with a Doctor of Musical Arts degree from Eastman in 1995, having completed a dissertation on the keyboard manuscripts of Johann Christoph Bach (1673-1727) of Gehren, a second cousin of J. S. Bach. From 1990-97, Barte was on the music faculty of Idaho State University in Pocatello. He has performed extensively in the United States and abroad. Recent performances include recitals on the world-famous Mormon Tabernacle organ. Barte has also presented recitals and workshops at Regional and National conventions of The American Guild of Organists (AGO) and the Music Teacher’s National Association (MTNA). Dr. Barte has diverse experience as a church musician, having served Lutheran, Catholic, Methodist, UCC, Latter-day Saint, and Unitarian congregations in Minnesota, Nebraska, New York, Idaho and Ohio. Barte served for six years on the AGO National Council, serving as the Regional Councillor for Region V. In this capacity he worked with the Guild’s chapters in Ohio, Indiana, Kentucky, Illinois, and Michigan. In 2000, 2003 and 2007, he served as director for AGO-sponsored Pipe Organ Encounters (POE) held at Ohio University. POEs provide junior high and high school students an opportunity for intensive exposure to the organ in a summer-camp environment. 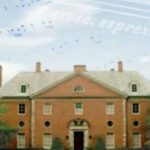 In 2000 he coordinated Ohio University’s “Bachfest 2000,” which featured presentations by eminent Bach scholars Christoph Wolff and George Stauffer. In 2016, Dr. Barte created a course at Ohio University on Wagner and The Ring, which culminated in taking the class to Washington DC to see the Washington National Opera’s production of the cycle. Who wouldn’t have loved to be in that classroom! and 2017. Since starting running in 2010, he has run more than the Earth’s circumference! We look forward to the contributions Dr. Barte will make in his new role with the Wagner Society of Cincinnati and to welcoming him as a colleague and fellow friend of the Master. The passing of Charles H. Parsons, the Wagner Society of Cincinnati’s Opera Authority, leaves behind a legacy of devotion to the arts. He studied music, literature, and fine arts at the University of Cincinnati. In the Spring of 1995 he was awarded an honorary Ph.D in Musicology from the Mellen University, Lampeter, Wales. While daily pursuing the duties of Librarian at the College of Law in Cincinnati, he still found time to produce The Mellen Opera Reference Index-a series of 24 volumes on many aspects of Opera-as well as writing for ARG, Opera News, Opera (London), and The Cincinnati Review of Politics and the Arts. For more than 20 years he lectured at Cincinnati’s College-Conservatory of Music and College of Continuing Education at the University. He loved travel, a remnant from his times living in London and Rome. He was also interested in languages, archaeology and art history, and was active in the Episcopal Church. His vast expertise in opera and in particular the esoteric works of Richard Wagner will be greatly missed in our little community of Wagnerians. His wit was unbounded and his passion for the arts unrelenting. We love and will greatly miss our dear Charles. To read a Retrospective on the life and contributions Charles Parsons made to the Cincinatti Opera World, click here. CSI and the Wagner Society of Cincinnati shed light on one of the richest periods of German and Austrian Lieder, illuminating the styles of Richard Wagner and his three closest contemporaries: Franz Liszt, Hugo Wolf, and Gustav Mahler. For more detailed information about this exciting concert and ticket purchasing, click on the link below. Purchase tickets by Friday, October 25 to get a 25% discount. Use code EARLYBIRD to purchase discounted tickets here. Opera Rap: Wagner and the Myth of the Flying Dutchman. 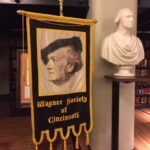 The Wagner Society of Cincinnati (WSC) and Cincinnati Opera will collaborate to produce an Opera Rap on the subject of Richard Wagner and his Music Dramas. Our guest speaker will be Naomi Lewin of WGUC and WQKR in New York. The event will also discuss Wagner’s Flying Dutchman which is being produced by Cincinnati Opera this Summer Season. This event is held at the Mercantile Library in downtown Cincinnati. To attend this exciting event, register by clicking here. This will be the third collaborative event between the WSC and Cincinnati. Please join us for this informative opportunity. Instrumental and vocal music from Poland, Hungary, Russia, Romania, and Bohemia. The concert will feature music by Sergei Rachmaninoff, Franz Liszt, Franz Schubert, Richard Strauss and Richard Wagner. Concert Performers: WSC Studio Artist, Shares Arnold, soprano; Kimberly Daniel de Acha, narrator; Amy Gillingham, cello; and Christina Lalog-Seal, piano. 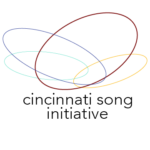 For a preview of the program, click here.